Kindle came, and it swept the readers off their feet. It is sleek, trendy, light and highly advanced. It is such an advanced device. However, are you able to efficiently use all its features? Do you know you can borrow and lend Kindle books? Did you know you could enjoy thousands of valuable books for free on Kindle? Did you know 10 members in your family can share the same Kindle account free of cost? 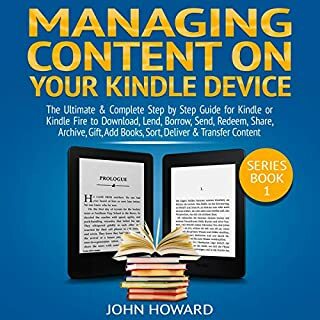 If you didn’t know all this and want to know a lot more, listen to Managing Content on Your Kindle Device now. The book is very easy to understand. The ketogenic diet is mainly natural, healthy, and, at the same time, delicious. Following the ketogenic diet menu will bring about physical and mental improvements, as well as help keep you energized throughout your day. Usually the kindle device battery drains quickly, but there are some things you can do to avoid this. How to Delete Books from Your Kindle will help you solve also this kind of problem and keep your library clean. The new and improved Kindle devices are coming with amazing abilities, yet people buy them only as a sleek, book reading device. This audiobook will open your eyes to the amazing possibilities offered by your Kindle device. You'll learn how to delete books from your Kindle and other devices, fix constant crashing apps, and much more. Listen today! This book is really an elegantly composed. Do you want to impress the processes that you are working on? Do you want to make your machines more intelligent? 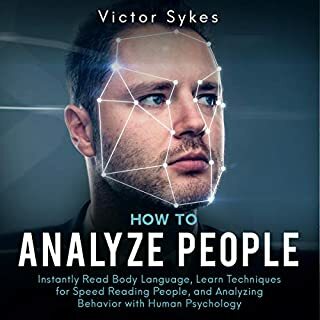 If your answer to any of those questions is yes, then you have come to the right place.This audiobook is a sequel to the book titled Machine Learning: A Step-by-Step Guide. 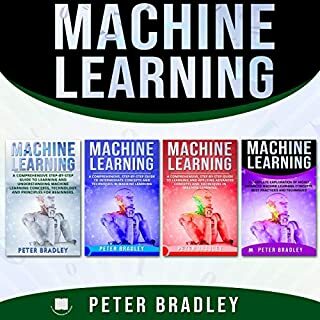 In the first book, you gathered information on what machine learning is, and the different algorithms that one needs to know. 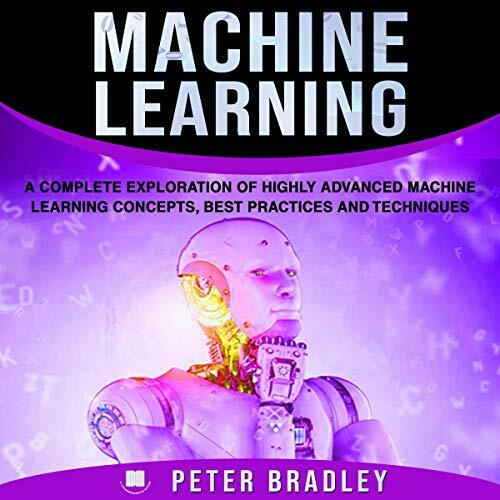 This book is for those who have a basic understanding of what machine learning is. 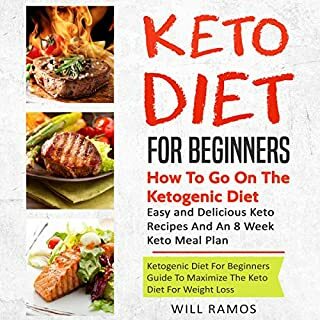 In this audiobook, you will discover the power of intermittent fasting combined with the ketogenic diet. Take control of your eating habits and improve the way you look and feel once and for all. Everything that has ever happened, is happening, and can happen, is recorded in the Akashic records. The existence of such energetic records has been known by a few people worldwide and is called by various other names, including the "Book of Life" in the Bible...There is a place that you can access with your mind, a place where all of the events and desires of human beings in human history have been recorded. This is the Akashic record, and it is a realm of existence that has been actively studied for over 100 years. In this guide, I will cover the process of working with Fulfillment by Amazon (FBA) from start to the end. By the end of this audiobook, you will be able to begin your own online business with Amazon as the storefront and working the warehouse operations for you. Cheers for a long-term biz. This audiobook will teach you to discover your path and follow your unique destiny to resolve all your mental burden. It will also expose you to techniques which have never been discussed before...it will reveal how you can lead a life with purpose and overcome the clutter which envelops your mind. You will also learn to eliminate toxic memories which are currently limiting your capacity to live life to the full. You will finally break free from the web of negativity and achieve success. Inflammation is, at best, uncomfortable and painful. At worst, it is life threatening. If you have noticed the symptoms or have been suffering for a while, then you need to take action before it’s too late. Beat inflammation and live a healthy life using the anti inflammatory diet. Do you know how to build a machine learning algorithm in Python? Have you learned how to build a neural network in Python? If you have listened to the first three audiobooks in the series, you will know how to do both those things. If you want to learn more about the concepts related to machine learning and some subjects and concepts that are linked to machine learning, you have come to the right place. 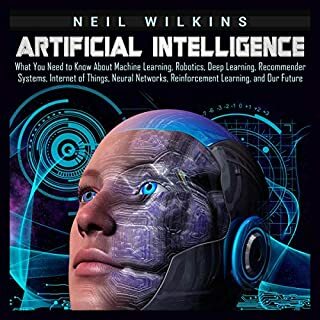 The information in this audiobook will help you learn more about machine learning. You should now be able to link some of the concepts in machine learning with the work you do or the work you want to do. Once you practice the models in the audiobook, you can build your very own models in either R or Python. It seems to me to be a mix of depth, clarity, objectivity and sheer technical virtuosity. I highly recommend it. This is a superbly written book, and a must-have for anyone interested in machine learning. Very well structured though and excellent if you want to see some applications of machine learning in action. I am surprise with all the information and ideas this book shares. I love how being precise it is. It is educational and entertaining to learn more of Neural Network even Deep Learning. Lots of real world scenario, prefect example is one of the best features of these books. I really enjoy and learn lots of basic things to start my career in Machine Learning. This book is so well written and very easy to understand. It teaches you almost all there is to know about machine learning and neural networks. I am halfway through the book now and have genuinely learned a lot so far. Very informative. The book fully explained the essence of the machine learning and revealed the basics on what everything is based on. 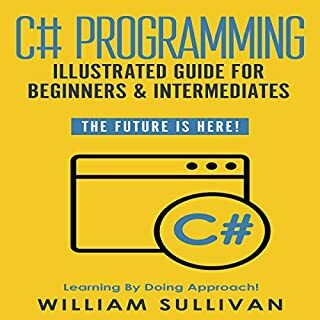 As a beginner, this book is very useful for me. And the next month I will study it. Easy to to read and very short. Some good examples used throughout. The book could go in to more detail in a few different places. This book is described in the simple language and easy to understand. I liked this book and would recommend it for those who need this type of information. It is worth reading. This guide helped me to better understand the fundamentals and was extremely clear and easy comprehensive. Another great book. I could not put this book down. Matthew Harper is a creative writer. Expecting new edition in future. Thanks for publishing this book.